So thank you Amanda for hosting this read-a-thon again. This way if I can read at least 2-3 books that would be awesome! Stalk away! That's part of the fun! Good luck on your goals. Stalking is encouraged. I usually fail at my goals too. Good luck! Good luck on your goals! Can't wait to see how you like the books you read. My goal is 3 also! I really hope to finish and savor the books also. Good luck with your goals! I'll be rooting all us Bout of Books peeps on. Aww, don't say you'll fail! I'm sure you'll do great - good luck! Aww you won't fail as long as you get some reading done. Some is better than none. Good luck. Two or three books is great. 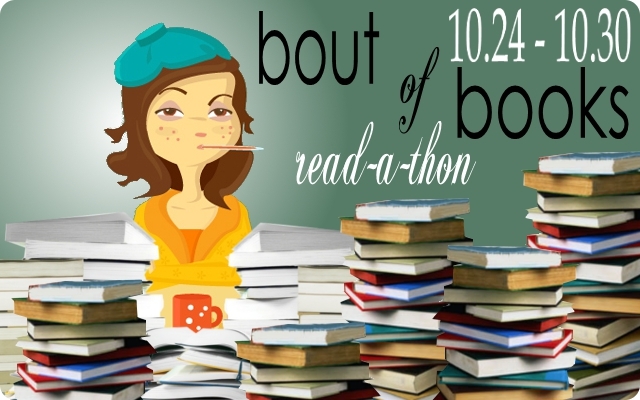 I am just aiming to read more than the last read-a-thon and connect with some new bloggers.